The CPU and cameras get an uptick, and a rear control strip seems to echo a similar feature on the LG G4. Leaked photos of the next Moto G show a future version with small upticks in features compared to the 2014 Moto G, which is our favorite budget phone. The new version is expected to ship sometime in the third quarter of this year. LTE capability is the biggest upgrade from the 2014 Moto G. According to 9to5Google, the device will have a Snapdragon 410 processor, compared to the current version’s Snapdragon 400. The 5-inch screen size is unchanged from the current model, as are the 1GB of RAM and 8GB of storage with microSD expansion capabilities. The cameras improve slightly, to a 13-megapixel rear and 5-megapixel front. 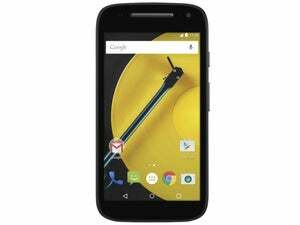 Motorola is clearly playing it safe with the next Moto G.
The leaked pictures show a device with Android 5.1.1 (Lollipop), which is the latest version of Android. 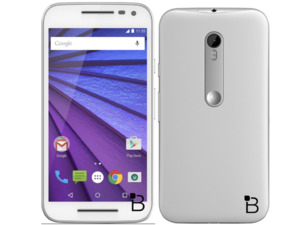 Motorola is typically one of the more proactive companies when it comes to timely updates of Google’s OS. While the overall build and specs stick pretty close to the current model, one interesting picture shows some type of vertical strip on the back of the phone, with the signature Motorola logo carved into a buttonhole. The design of the Moto G’s backside looks similar to LG’s smartphones. Unlike the similar feature in the LG G4, however, there’s no volume or power functionality built into this spot, at least not in the model shown. Why this matters: If these leaked photos are reliable, the next Moto G could be a comfortable step up from the current model—neither groundbreaking nor disappointing. It’s an inexpensive phone that sticks pretty close to stock Android, so it’s a great option as a first smartphone or initial journey into the ecosystem. Sometimes such a leak is the first of many, so we’ll keep you posted about further reveals.